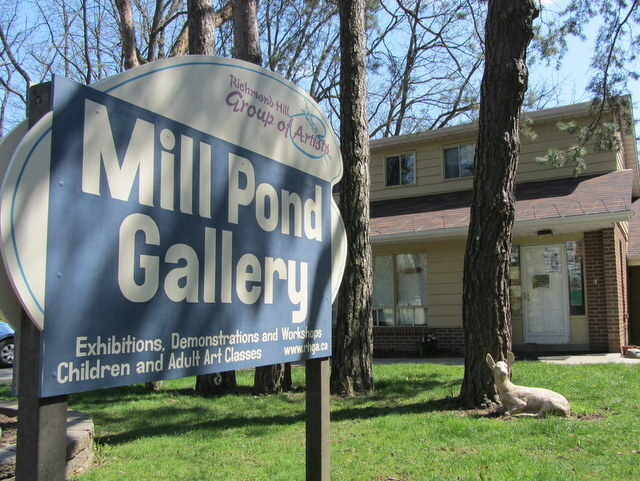 The Mill Pond Gallery was opened in June 1994 and operates with the generous support from the Town of Richmond Hill. The gallery is home to the Richmond Hill Group of Artists and provides members the opportunity to exhibit their work. The RHGA is for everyone who enjoys the creation and appreciation of art. We establish friendships and share information with others who are interested in the arts. One of the foremost goals of the RHGA is to provide educational opportunities for the members, as well as the community at large. Regular demonstrations and workshops by visiting artists are held for members (and non members at a nominal fee). A Non-Instructional Life Drawing Session is held weekly and lessons in all media for adults and children are held year round. 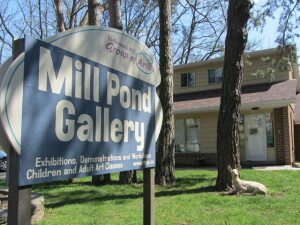 The Mill Pond Gallery is open most Saturdays and Sundays from 11:00am to 5:00pm. It is located across from the Mill Pond Park in the heart of historic Richmond Hill. There is no admission fee, plenty of free parking and refreshments served. Please visit our website at www.rhga.ca for a complete listing of gallery shows, workshops and demonstrations, and adult and children’s classes.